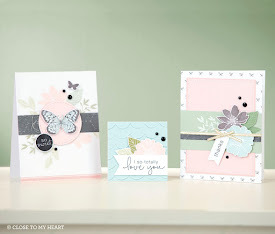 Did you know that the Live Beautifully May special (paper pack, stamp set, and Cut Above layout kit) are still available while supplies last? (You can find them HERE if you'd like to get yours before they are completely gone!) 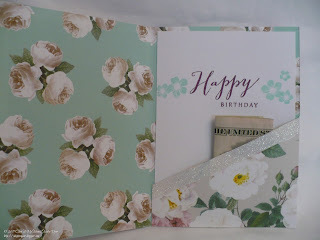 I am still in love with the collection and thought it would make a pretty card for a sweet young lady who just turned 19. The front features a stack of presents. For the center one, the white gold-embossed card stock did not stand out against the background, so I sponged it with a little Lemon ink. 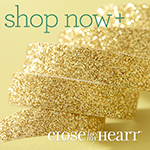 The gold-and-white ribbon bow makes it more festive (and less like a wedding cake). The pocket is embellished with white shimmer trim along the edge. Here is a quick tutorial of how I made my pocket card. I began with a piece of 5.5"x12" double-sided patterened paper. I folded it onto itself at 4" and 8" with both the left and right sections folding into the center panel. 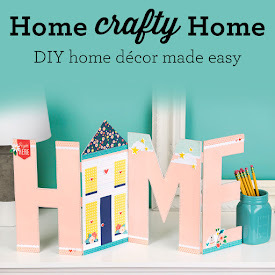 While this makes your card a little skinnier than usual, I don't think anyone will notice, and you can make make the card out of one piece of paper. Unfold the card and turn it so that the BACK of the center panel is facing up. (You folds should be folding the outside panels DOWN.) Line up the top of your card and the left fold on your paper cutter and cut down 2.5" (see picture, above). Then turn the card base 90 degrees. You want to cut this piece at an angle to make your pocket. 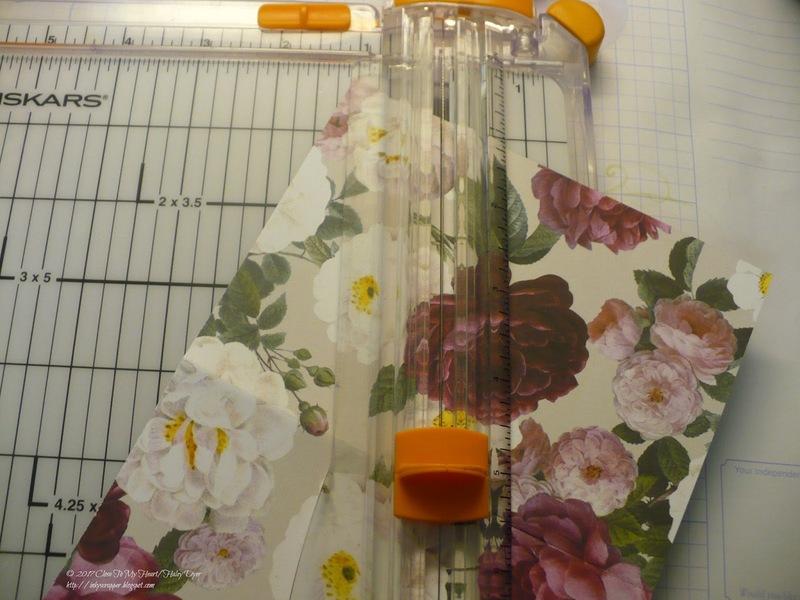 (I kept about an inch of the outside edge at the bottom and lined that up with the point where I can cut the slit in the fold, and then cut that off. 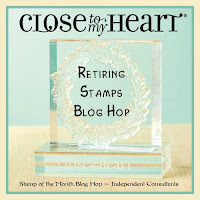 If any of the tutorial doesn't make sense, please post your question here or send me an email (info at my CTMH website). 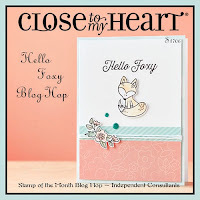 I'm linking this card up to the Heart 2 Heart June Pretty Pockets challenge. Thanks for visiting! The final June Heart 2 Heart Challenge is watercolors, and there are so many ways to interpret this one! I used a "watercolor smoosh" for my technique and card. To begin, lay a piece of plastic wrap at least twice as big as your project onto your work space. (My "work space"/canvasw was a piece of 4"x5.25" piece of watercolor paper. 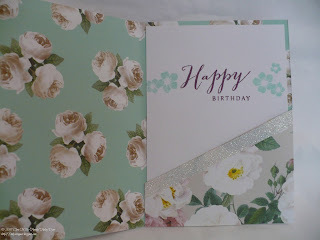 Begin by adding drops of clean water to the area that your card panel will cover. 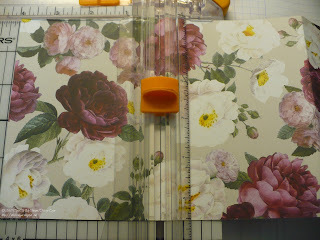 Next, add drops of color onto the plastic wrap wher eyour card stock piece will go. I used two shades of blue and two shades of purple. Finally, place your watercolor panel onto the plastic wrap. 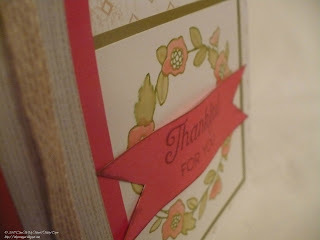 Wrap the edges around the card stock and then flip over. Smooch and spread out as many wrinkles as possible. 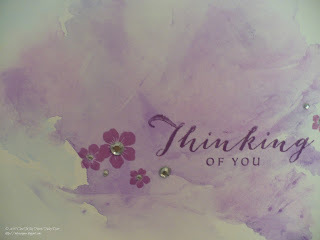 My watercolors best matched Crystal Blue (card stock base), plus Thistle and Pansy. 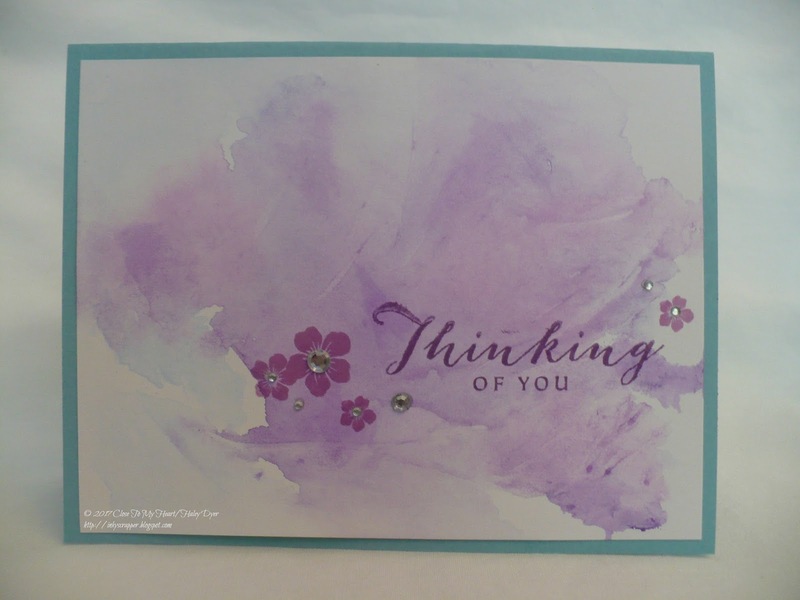 The sentiment (from Happy to Be Friends) was stamped in Pansy and the flowers (from the same set) was stamped with Thistle. I embellished my flowers with some pretty sparkles. If you haven't played around with CTMH's watercolors, then you should give them a try! 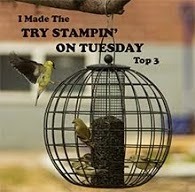 Google a few videos and then get started! 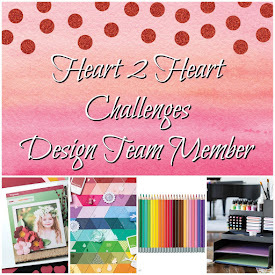 This is the last H2H challenge for June, so be sure to play along! Thanks! Our oldest turned 19 this month, so I had to make her a special card. I decided to use the Little Dreamer collection and the (retired) Kaleidoscope Workshop on the Go stamp set. It was much easier to put 19 candles on her stamped cake than on the real one! We were blessed to have lots of family come over to help celebrate! To make this collection more feminine, I added Smoothie to the tropical No Worries palette. To have matching shimmer trim (on the cake and on the second panel of the card), I started with silver shimmer trim and colored it with the Marina Blue Shin Han Twin Touch alcohol marker. 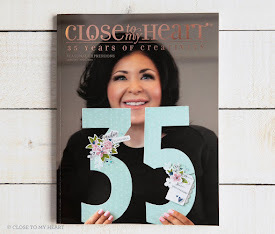 All of the cuts were made with the CTMH/Cricut Artistry collection. 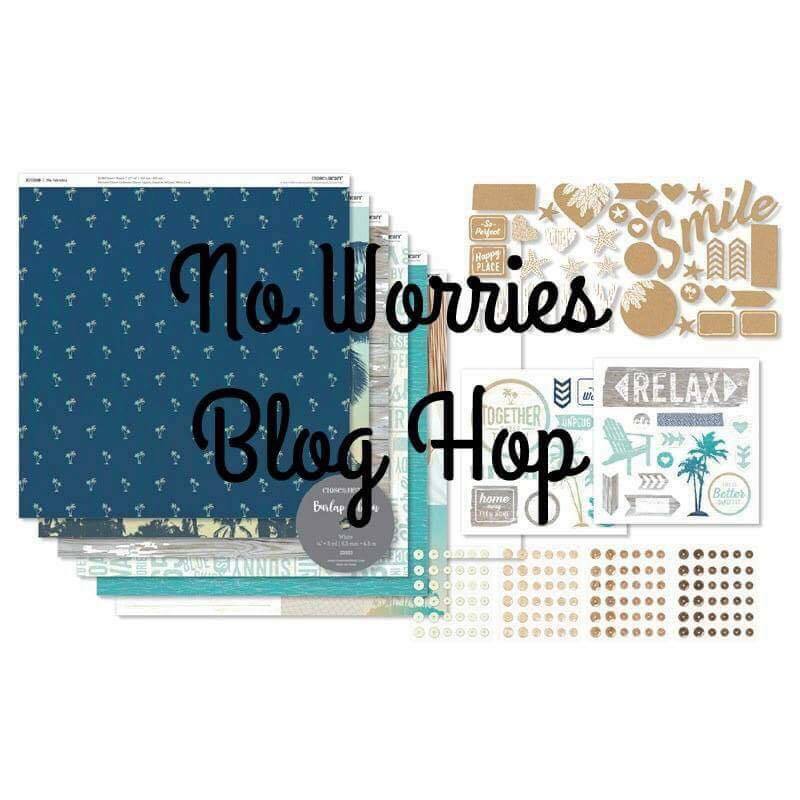 All of the embellishments (sequins and burlap ribbon) are part of the No Worries Workshop Your Way collection. Hopefully my aunt will love this card, because I had so much fun making it for her! 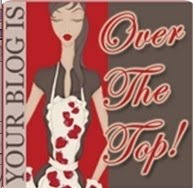 Please leave me a comment before you head off to Elly's blog next. 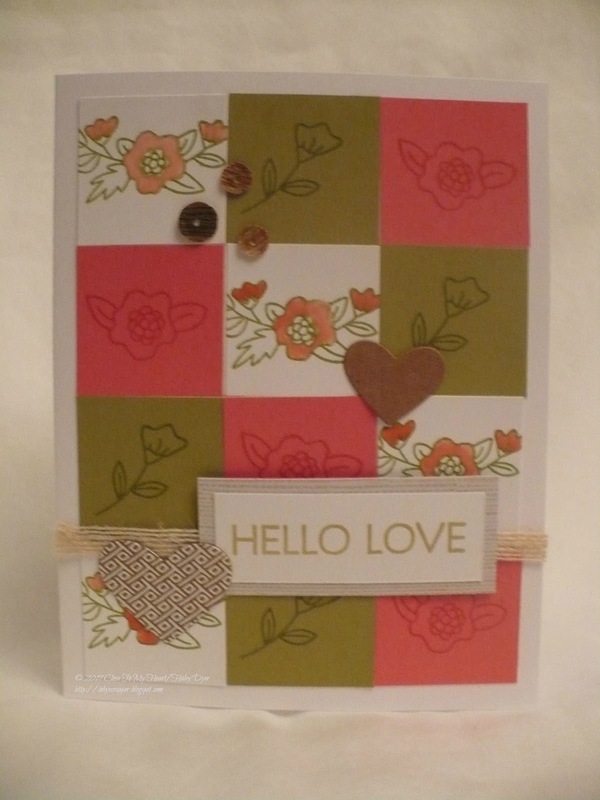 This first card measures 4"x4" and also features a retired greetings sentiment. This standard-sized card uses a pattern from Wishes with an added Sweet Leaf polka dot background and green epoxy triangles (if you look closely). Thank you for hopping by! 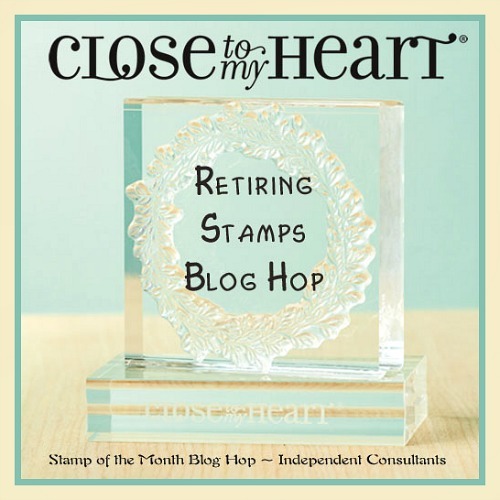 Be sure to get your must-have stamp sets before they retire! 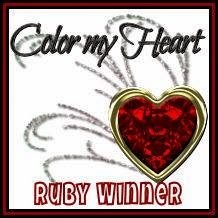 I'd appreciate a comment before you head off to Brenda's blog next! 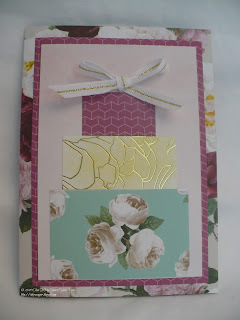 For my card set, I challenged myself to use a current paper pack in a different way. Can you guess which one it is? I did add Fern and Smoothie for my florals. Did you guess No Worries? Not a nautical design in sight! 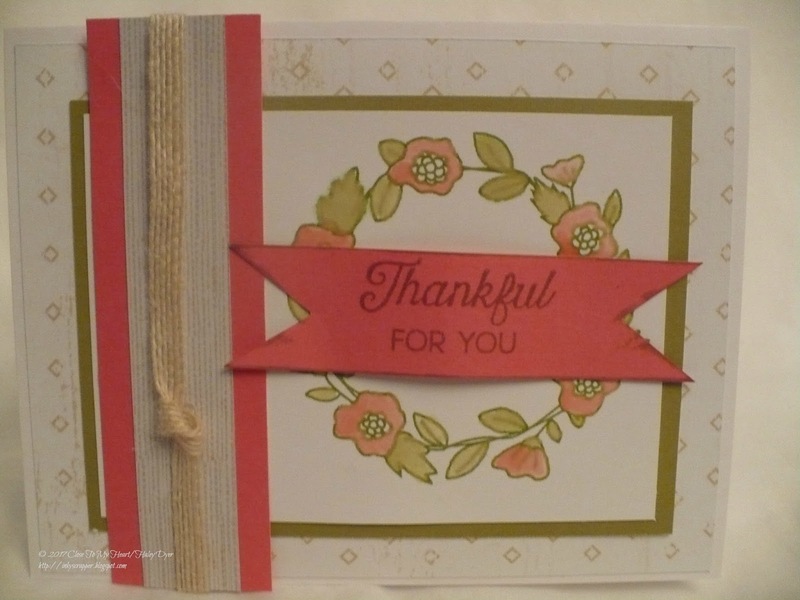 I did use the embellishments from the workshop your way kit: the sequins, the burlap ribbon, and even a few Complements. All of my cards are based on sketches from Make It From Your Heart, Volume 2. I also used a water brush to color all of the images. As adorable as those foxes are, I wanted to show how pretty the set was if you did not include them. Can you see how I popped up the center of the sentiment banner? I bent it first and then attached the ends with glue dots. Glue dots also hold the burlap ribbon well! 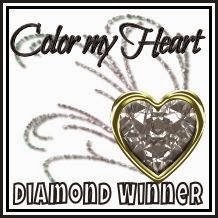 This card combines a mix of the Complements (hearts) and sequins. 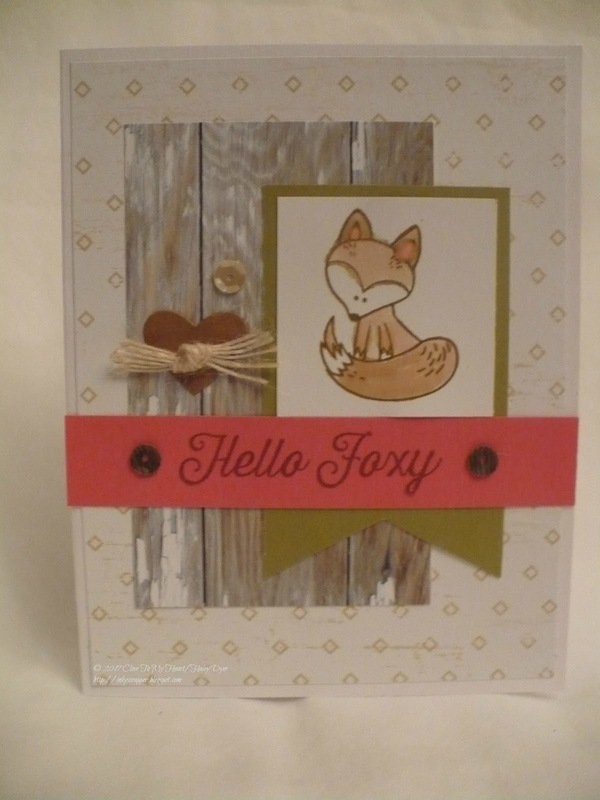 Since those foxes are so cute, I couldn't resist a Hello Foxy card to round out the set. Thanks for visiting! 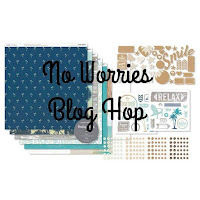 Please visit Krista's blog next!